Coupons valid until End of Season / October 7th. May redeem multiple coupons per person. Valid for ages 14 years and above (kids below 14 years old need parents supervision). Valid Thursday to Sunday from 11 AM till 6 PM. 160 kg limit in total. Reservation required on 03 549 140 or 70 506 954, quote Gosawa coupon. Coupons must be printed. Non-Refundable / No carry over. VAT included in price. Standard terms & conditions apply. Enjoy exhilarating water activities and have an exceptional experience this summer! 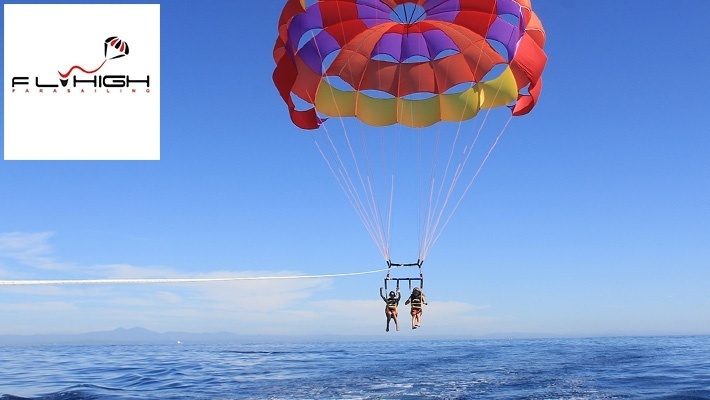 Benefit from this Parasailing Activity from Fly High, starting from $35 instead of $80. The sky is your limit with Fly High! Fly High offers exciting water activities in Jounieh Bay! Feel a unique sensation of freedom with their Parasailing activity and get a taste of one of the most exhilarating water sports. You can also enjoy an amazing boat ride and explore the sea. Professional equipment and instructors help transform your experience into a memorable one.